Klappentext The third edition of "First Day to Final Grade: A Graduate Student's Guide to Teaching "is designed to help new graduate student teaching assistants navigate the challenges of teaching undergraduates. 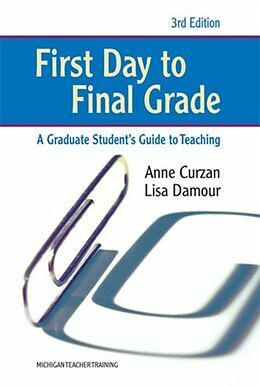 Both a quick reference tool and a fluid read, the book focuses on the "how tos" of teaching, such as setting up a lesson plan, running a discussion, and grading, as well as issues specific to the teaching assistant's unique role as both student and teacher. This new edition incorporates newer teaching and learning pedagogy. The book has been updated to reflect the role of technology both inside and outside the classroom. In addition, a new chapter has been added that discusses successfully transitioning from being a teaching assistant to being hired as a full-time instructor.